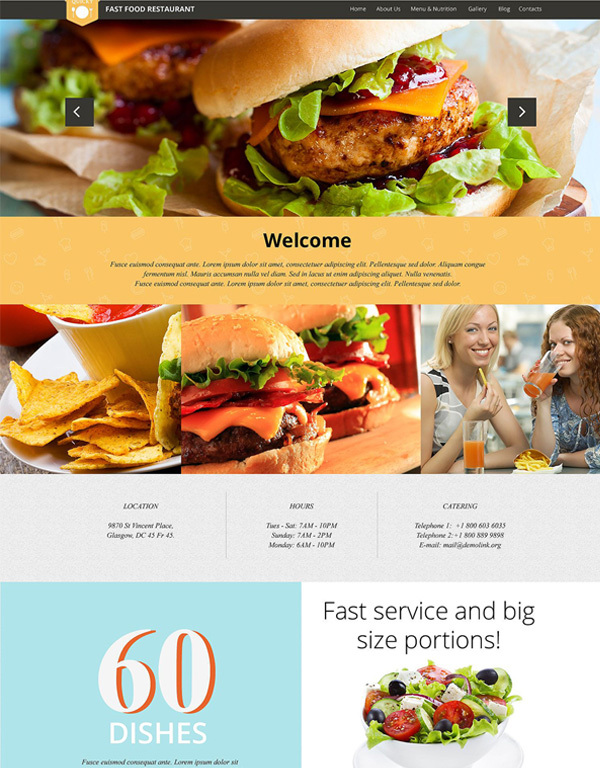 Quick Snack WordPress Theme is suitable for those who dealing with food websites. Its is a full width theme and optimized for mobile and tablets.The main part of the theme is the slider which is well designed and you can use it for featured menu items, which stimulates user appetite once they come across your webpage. The themes fonts are readable and the color scheme of yellow and orange are good. There is also social share buttons at the bottom of the page and your visitor can easily share it on media. It needs WordPress Engine 4.0.x and Compatible with version 3.6.x-4.0.x. In documentation folder you can find installation and set up instructions. For running this theme you need a hosting with MySQL 5.0 or higher, The mod_rewrite Apache module and PHP 5.3 or higher.